Firstly, thank you so much to everyone who has donated to Against Malaria Foundation, and sorry it has taken so long to post! We ended up raising over $1,200 which funded over 400 nets! 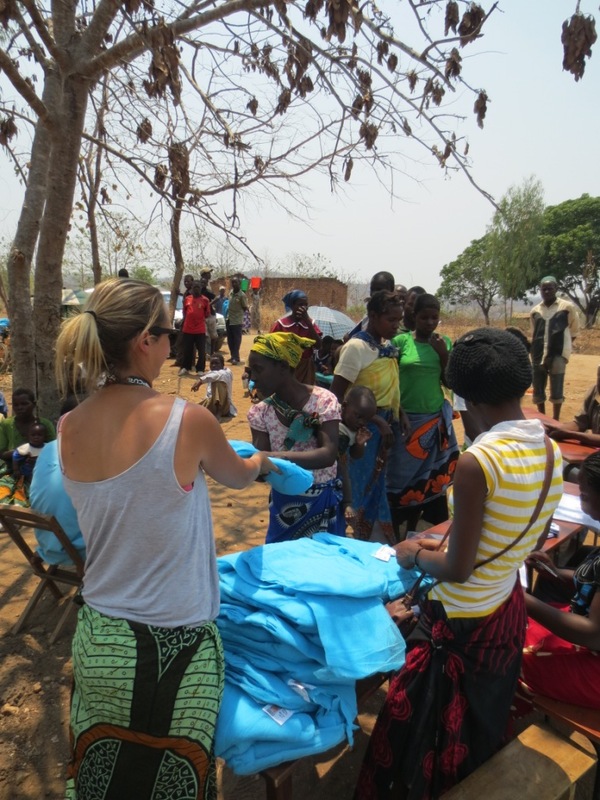 It was a great feeling to join the distribution team in Balaka and see all the nets we’d funded with your kind donations. 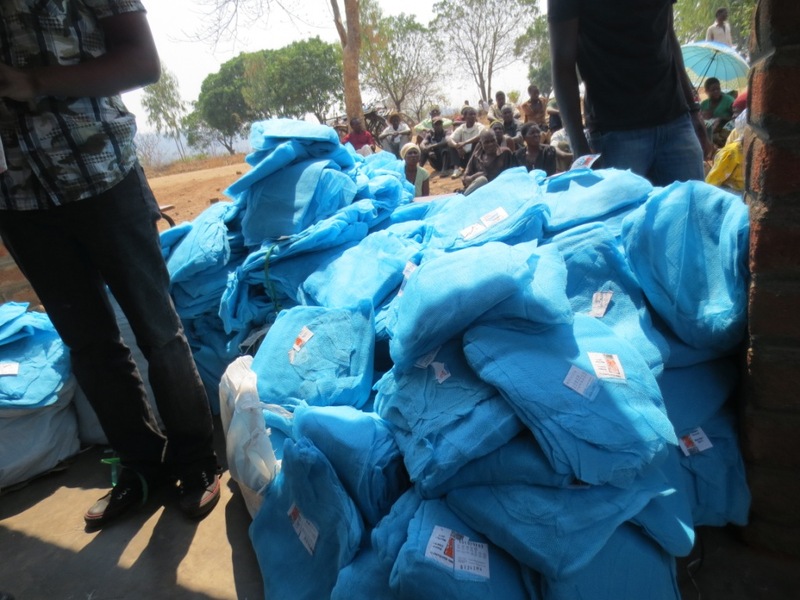 We were only able to join the distribution for a short time, but what we saw in that time was so impressive and reaffirmed why we chose to support Against Malaria Foundation – we can promise you, your donations have gone to an extremely important and valuable cause. 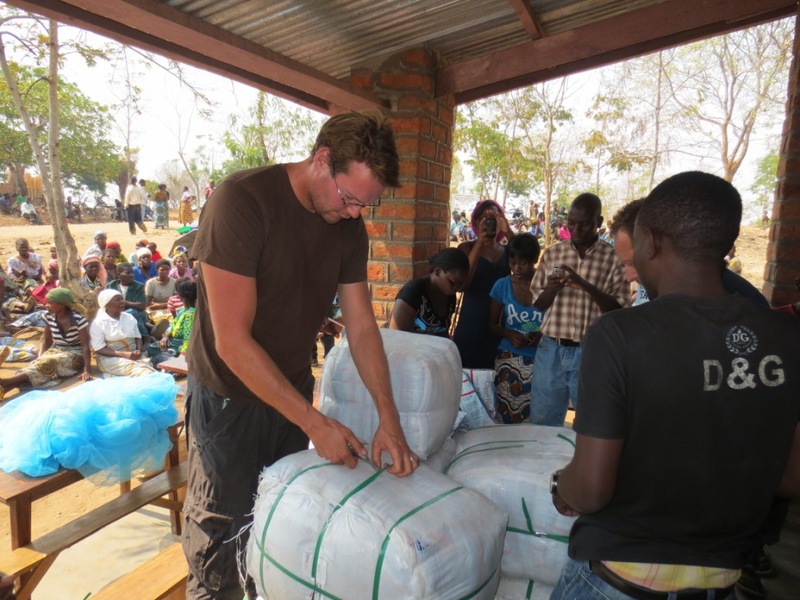 The NGO debate is a big one in Africa, just how effective is aid relief and does it do more harm than good? To be honest, we’d become quite sceptical having seen a number of poorly implemented projects, resulting in either huge amounts wastage or harmful impacts on local economies so we were keen to see what the secret was to AMF’s success. Firstly, the AMF select a local distribution partner, in this case Concern Universal, harnessing their local knowledge to better understand the needs of the local people as well as being able to form strong relationships with the different villages, particularly their chiefs who were the key to ensuring the successful continuation of the project post-distribution. 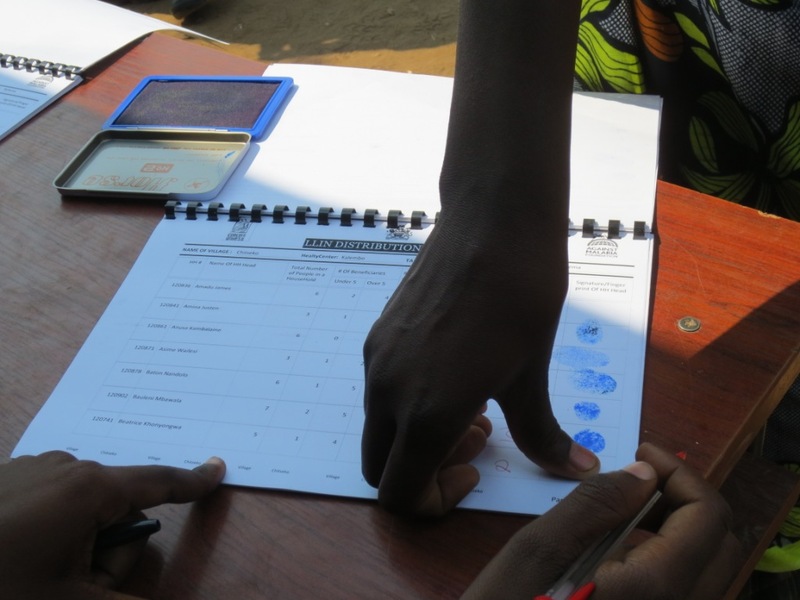 Six months prior to the distribution, a pre-registration phase is completed whereby each villager must register themselves and include details of how many people are in their household and how many sleeping spaces they have. Based on this information the distribution team are able to create a database for each village and allocate the correct number of nets. 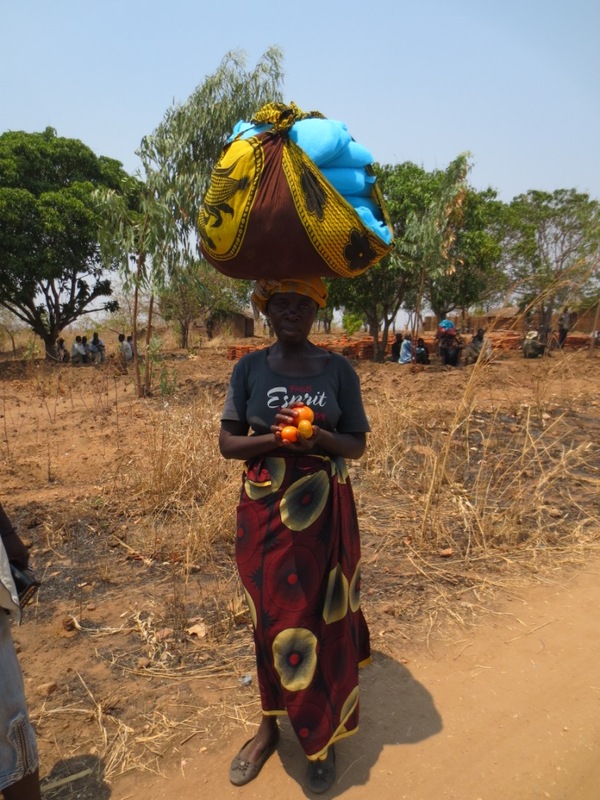 On distribution day, we met with the team early and drove out to a remote village in the Balaka district. By 8am the mercury was already in the late 20’s, it was going to be a sweltering day! By the time we’d arrived, villagers from the surrounding area were already waiting for us, it was time to get the show on the road! 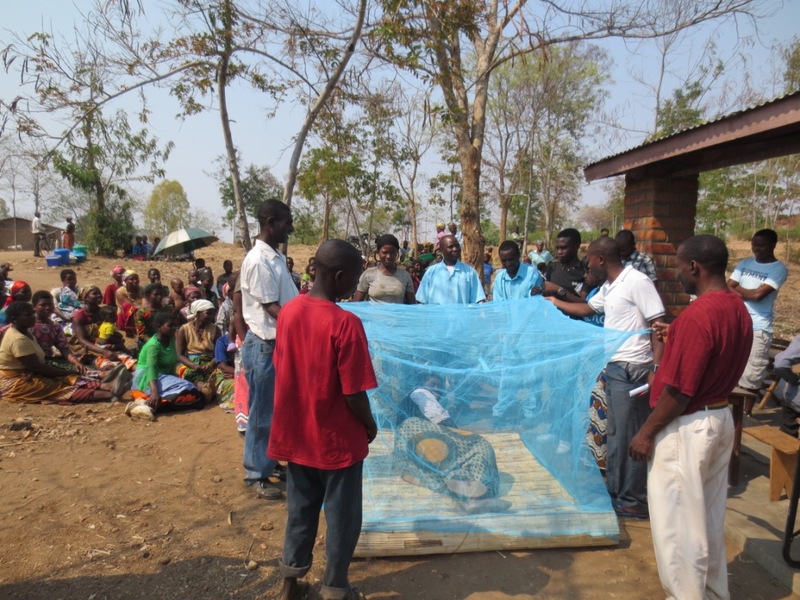 Firstly the villagers were given talks about Malaria awareness from a local health officer, what it is, how to prevent it and why the nets are so important. Demonstrations were then given, to show how the net needs to be installed and villagers then had a chance to discuss any issues or questions. 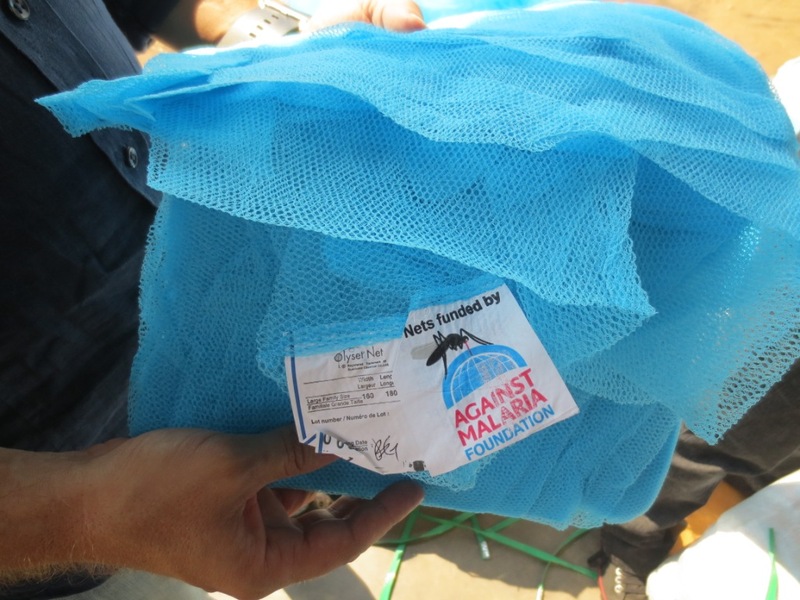 The educational part is vital to ensure that they understand why they are receiving nets and deter them from mis-using the nets for fishing, clothing or protecting crops. 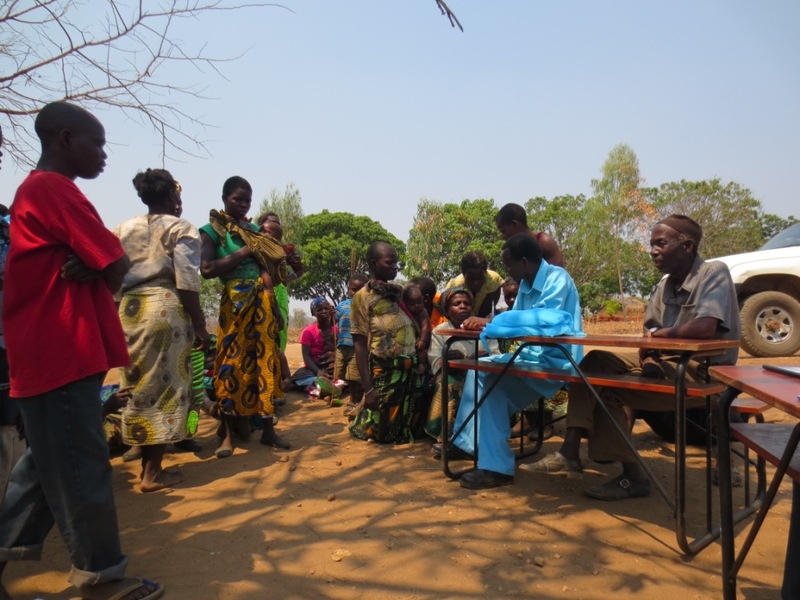 The distribution process itself ran very smoothly and very quickly, despite there being five different villages and over 1300 nets distributed in one day (and this was only a small pilot to check that the process was working!) We took the nets out of their packets (to prevent them being re-sold) and the villagers were then called up in small groups to collect their nets providing a signature or finger print to confirm they have collected it all under the watchful eye of the village chief to ensure people were, who they say they were. We were so impressed with the efficiency of the distribution and how well the key project managers Nelson, Chimwemwe and Hazel had organised everything – the work they’re doing here is outstanding and their results are proof of this – over 80% of nets are still installed 6months later and in some areas they are reporting over 50% drop in malaria rates. So thank you again to everyone who donated to this very worthy cause, you’ll soon be able to see photos of the net distribution against your donations on our fundraising page as confirmation the nets you funded have been successfully distributed. 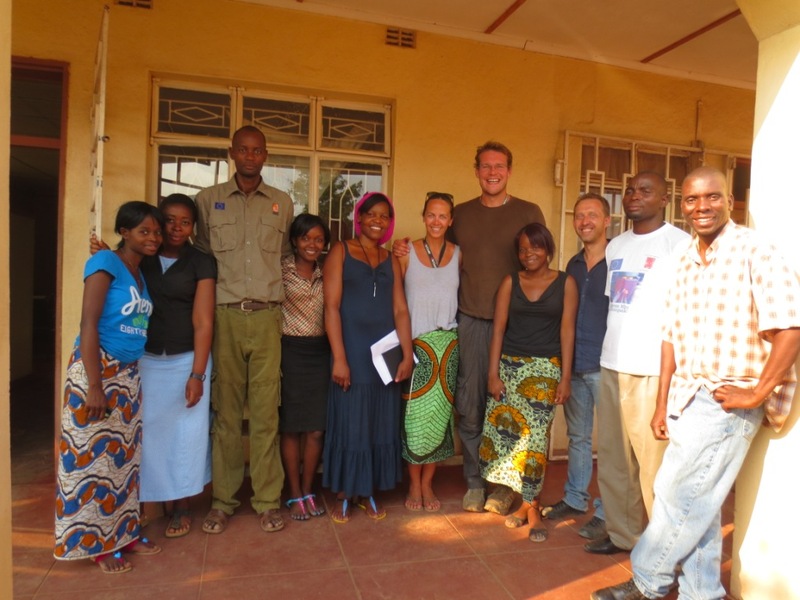 And of course a huge thank you to everyone at Against Malaria Foundation and Concern Universal for allowing us the opportunity to come and work with you! Well done guys! you should be proud of yourselves. A worthy cause! Congratulations, really a noble story! There should be more people like you .. 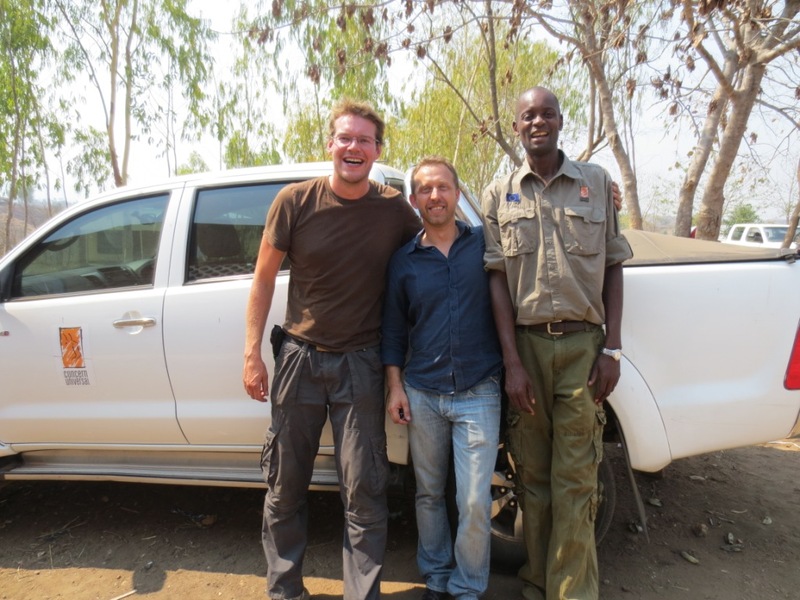 Thanks for the kind words……..It seemed right that we should raise a little money for a worthy charity while we went on our extended ‘holiday’!